Trendy, fun and eye-catching, checks aka chequered patterns have made a huge impact in the world of fashion. Retro or mod, hip or upmarket, you can don either of these looks with this cool print. Come summer revive your style quotient wearing the bold patterned checks thru clothing and accessories. Plain and single colored apparels miss the energy found in patterns and pop colors. Checkered dresses are a must-have as they provide slick designs and attractive colors that lend a bold and endearing appeal. The block like designs is perfect to add an edgy yet glam look that spells a refined fashion sense. Moreover, structure and simplicity of these patterns mixed with complementing color tones help carry a retro or elegant look. Coats make for a versatile outerwear as they provide protection from the elements and add an element of style to one’s personality. By far, they are among the most functional wear found in just about everybody’s wardrobe. However, they are much trendier when backed with checkered patterns. The bold and clean cut patterns offer an alluring look to the overall garment and in turn lend a chic-esque appeal. This season if you wish to wear something comfy and casual, which at the same time is stylish and hip, opt for a pair of checkered pants. No other summer wear combines fun and style together as they do. Check pants are fun to wear, their simple and clean cut prints are classy and work perfectly with just about any top. Compliment it with your favorite sneaker shoes or perhaps wedges. A bright colored clutch and some accessories along will spice up your image. The market abounds with accessories sporting the checkered design, which help to complete as well as compliment a sweet or flamboyant look you aim to carry. 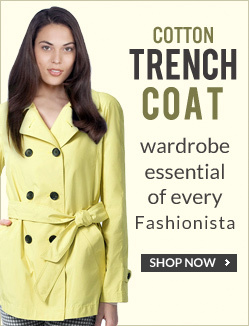 Browse through bags, clutch, earring, bracelets, shades, etc. that sport the subtle yet alluring print in either traditional black and white or other bright, soft or bold color schemes. Nail art is the way to go for all those of you who are fashion minded and perhaps fond of art. Nail art is the next level in fashion after makeup and hairstyles. More than often, it compliments and adds to your personality. 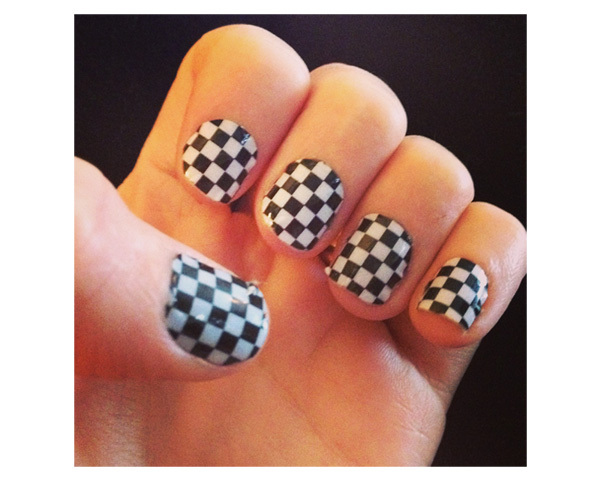 Checkered prints are one of the hottest trends in nail art with a plethora of designs and color combinations to suit your overall look.